As a preliminary to the Show, and to encourage entries for the Art Pavillion, on Saturday 3rd and Saturday 10th October two Children’s Art Mornings will be held from 10am to 1pm in the Wheel & Loom building in Maldon’s Main Street. This will be with the assistance of artists and the provision of free art materials so that children can produce entries on the spot to be entered into the Show. Entry forms will be available on these mornings. The Show is only on for one day, so we are extending Art exhibition time by moving artwork (with permission of the artists) to the Wheel & Loom building, in Main Street, Maldon for a period of one extra week. Please note on the entry form if you wish to take part in this extension time. .
Below is the schedule for age group entry, and the entry form. We have also included Section 17A which is for adults or students over 16 years of age, in case this is of interest. For the first time, digital art has been included in the children’s section, age group 8-12 years, and 12-16 years. We hope this will interest our new and emerging electronic artists! 1st and 2nd place ribbons awarded in each class plus prize money. A Highly Commended Certificate will be awarded for the best entry from each participating school. Prize for the Best Exhibit Classes 1 – 4 Artwork Open as chosen by the judge. No Hanging fee. Commission 10%. Artists to deal with their own sales. Any buyers will be referred directly to the artist. Please supply contact details to be displayed with your work for the day of the show. The number of entries per artist may have to be limited depending on hanging space available. Following on from show day, the Wheel and Loom in Main Street, Maldon will host all Show Art works exclusively over the course of one week. Please note on your entry form should you wish to take part in the extended exhibition. Pickup of Artwork 4pm on Showday. If you wish your works to be hung for a further week at Wheel & Loom, Maldon they will be stored at the Showground Pavilion overnight, and moved on the Monday by members of Maldon Art Net. Please tick ‘yes’ on the entry form. Please find a copy of our “Draft” Horse Schedule for this years Show. Keep an eye out as changes will be uploaded soon! Here’s a copy of the latest update of the horse program. All Judges will be announced and posted on the website 3 weeks prior to the show. 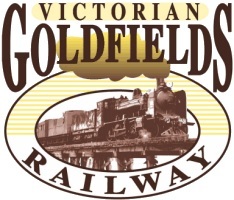 We are pleased to announce a new partnership with Victorian Goldfields Railway for this years show, with the main aim is to promote both organizations, in a mutually beneficial way for both parties and a goal to promote the district as a whole. Keep an eye out for more exciting news to follow. 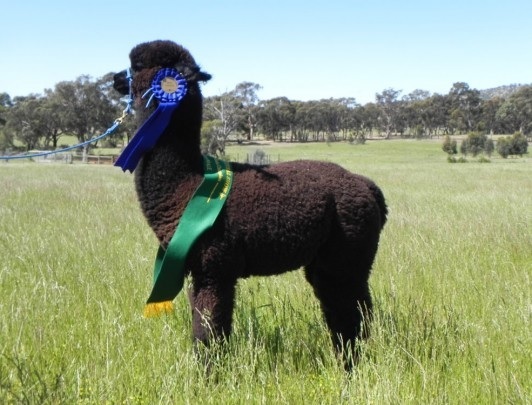 Welcome aboard to Judi Bromage & David Booten who are the proud owners of Baringhup Alpacas, Judi & David will be displaying some of their Alpacas at this years show. Their alpaca venture began in 2008 with purchases from Millduck Alpaca Stud and later from Camelot Alpacas. They have grown our numbers slowly concentrating on breeding and purchasing well framed and robust colored huacaya alpacas with sound genetic lineage and gentle temperament. Their property has Q Alpaca status. All Baringhup cria are trained to lead on halter which makes them easy to handle. The Maldon & Baringhup Agricultural Show Committee meeting will be held this Wednesday 13th May 7:30pm at the Maldon Community Center in Francis Street. We welcome anyone who has an interest to come along, this could be to join the committee, volunteer to help out or just to bring along some new ideas. Dance starts at 8pm until Midnight. For any enquires ring Ross or Hanna on 5475 2582 Or Hanna on 0409189708. Come along and join us for this years show, keep an eye on our website and Facebook page for more details to follow. 2013 Show results now available! Did you win your section? Did you come and check out our 150 ways to celebrate Maldon and Baringhup’s 150th Show? We had an absolute ball and hope you did too. Thank you to all our visitors, our entrants, our sponsors and volunteers – of course, it couldn’t be done without you! Have you you decorated those teddy bear biscuits, grown those lovely veggies or practised your gumboot tossing? Even if you haven’t, pop along on Sunday to take part in the fun!